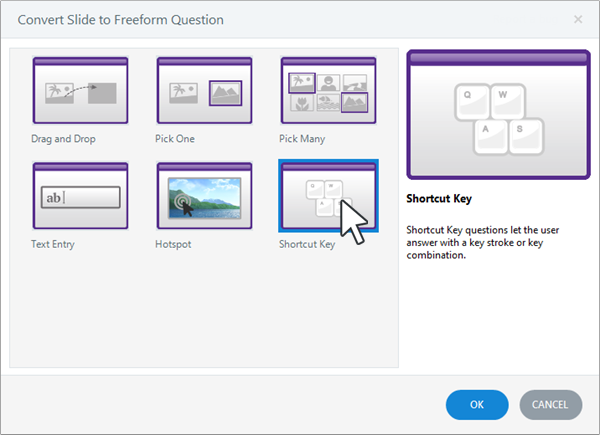 Articulate Storyline's freeform shortcut-key question lets learners answer by pressing a key or combination of keys on their keyboard. 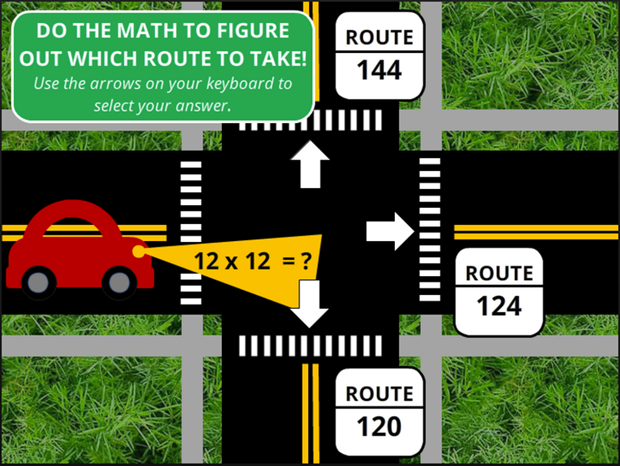 You might use shortcut-key questions for software training, teaching children the alphabet, or adding game elements to your course. Select Shortcut Key and click OK. The slide will automatically switch to Form View, where you can define the correct response. In Form View, place your cursor in the Key field, and press the key or combination of keys for the correct response. Tip: Be sure to test shortcut-key questions in your published output. If the key combinations are common shortcuts in browsers (Alt+D, Ctrl+T, etc. ), learners may experience unexpected behavior in the published course. After creating a shortcut-key question, you can customize several of its attributes, including feedback, branching, score, number of attempts, and whether learners are required to answer it or allowed to skip it. To learn how, see Working with the Question Editor.